Workout Dice – Part 2 | Robert Mitchell Jr. 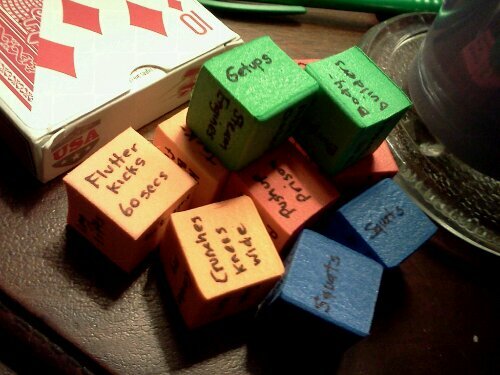 I wrote a previous post about using dice to introduce randomness into workout regimens. In that post, I talked about how I often use dice to decide what type of workout I’m going to do on a given day. Then, the other day while shopping with my wife, I saw these foam blocks at the store and I got to thinking. You see, physical training is very important in the martial art that I practice. Each month we create a workout made up of seven calisthenics which we call a “Constitutional.” So I decided to make some dice so that, with a single toss of seven cubes, we could have one ready to go instead of taking fifteen minutes to discuss and decide. 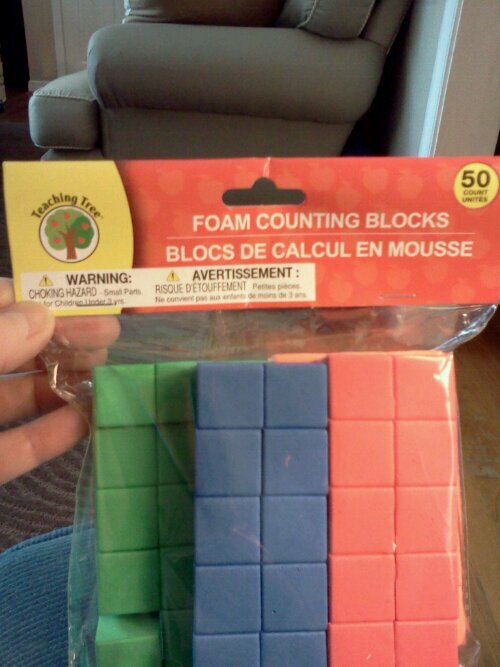 Here are the foam blocks I found at the Dollar Store. I used a fine point Sharpie to write the exercises on the dice, grouping them by color. Red for upper body, orange for core, blue for lower body, green for whole body. I also grouped easier exercises on some dice and harder ones on others, so that there would be some balance. If you are into fitness and cool enough to not feel like a dork for rolling dice prior to a workout, you might find these helpful. And don’t forget that, if you’re a martial artist, it’s a good idea to introduce fitness and unpredictability into your workouts whenever you can (so that you won’t be another Sensei Rex). This entry was posted in Martial arts and tagged dice, fitness, rex kwon do, unpredictability. Bookmark the permalink.